At Proffitt Overhead Doors, we provide expert installation, repair, service and maintenance for commercial overhead doors. Whether you need an overhead door, sectional door, rolling door, electric operator, rolling grille, fire-rated rolling door, loading dock door or high performance overhead door for your business, we have the best in the market and the experience and craftsmanship to get the job done right. 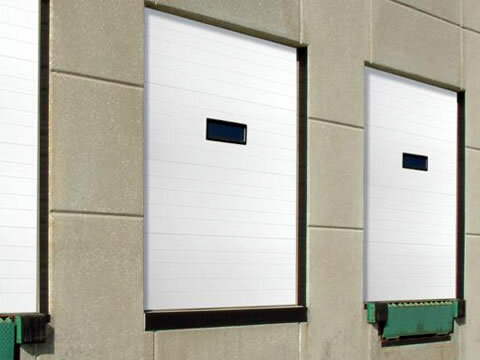 We carry top brand overhead doors from DoorLink Manufacturing, Inc.®. This includes a complete line of commercial steel overhead door products with a combination of designs and features second to none. Proffitt Overhead Door is a local area contractor with years of experience in installation, service and repairs of overhead doors. We are here for your business. Give us a call today, to schedule your appointment to discuss overhead doors and installation schedule. You can reach Jason at 574-266-7978.